A Cow In A Car? 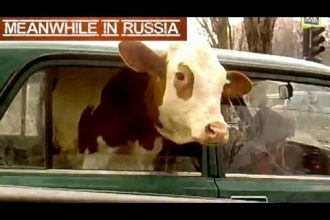 ONLY In Russia! !